How could I not watch this? 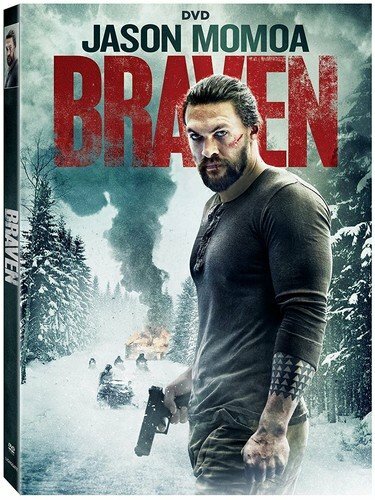 It’s a Jason Momoa movie. He produced it. It’s got flaws. Rather large ones. Like jumping off a cliff with your ankle in a bear trap while wrestling with another person and not getting your leg torn off or leaving a bad guy alive and armed after he’s tried to kill you. However, the wife is awesome. Played by Jill Wagner (who was also on Stargate Atlantis) she is established as an excellent bowhunter. She then proceeds to show up at a gun fight with a bow AND WIN. I cannot turn down a movie where the female lead actually gets to, you know, lead. She is as tough as her husband who is played by Jason Momoa. That, to me, is wonderful. If you have Prime (or if your library has a copy as mine does) it’s fun. ← Send Me an Angel Is Free and Weaver’s Circle Boxed Set 2 is out!